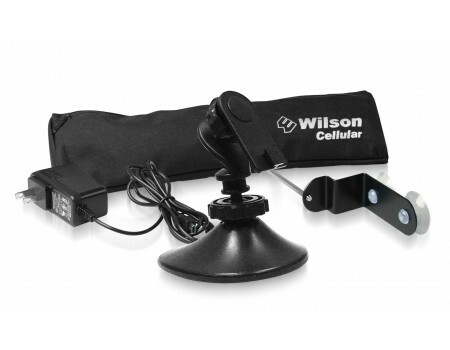 Wilson's Home Accessory Kit for the Wilson Sleek includes everything necessary to use your Sleek cradle signal booster in your home or office. This accessory kit includes an AC power adapter, desk mount (for the Sleek cradle), window mount for a magnetic antenna, and a carrying case. 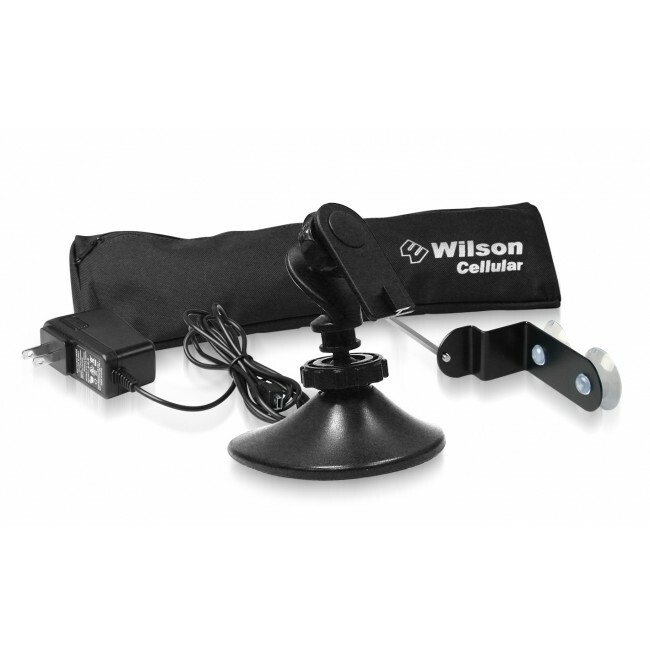 Wilson's Home Accessory Kit for all Sleek models, and includes everything necessary to use your Sleek cradle signal booster in your home or office. This accessory kit includes an AC power adapter, desk mount (for the Sleek cradle), window mount for a magnetic antenna, and a carrying case. An AC power adapter (859969) that allows your Wilson Sleek to work using any standard outlet in a home or office. A window mount for magnetic antennas (901128). This window mount has two suction cups that stick to any window. The metal frame can then be used to support any magenetic external antenna including the one that comes with each Sleek kit. An adjustable mount for the Sleek cradel (901137). This mount can be attached to a desk or dashboard which allows the Sleek cradle to be in just the right location.